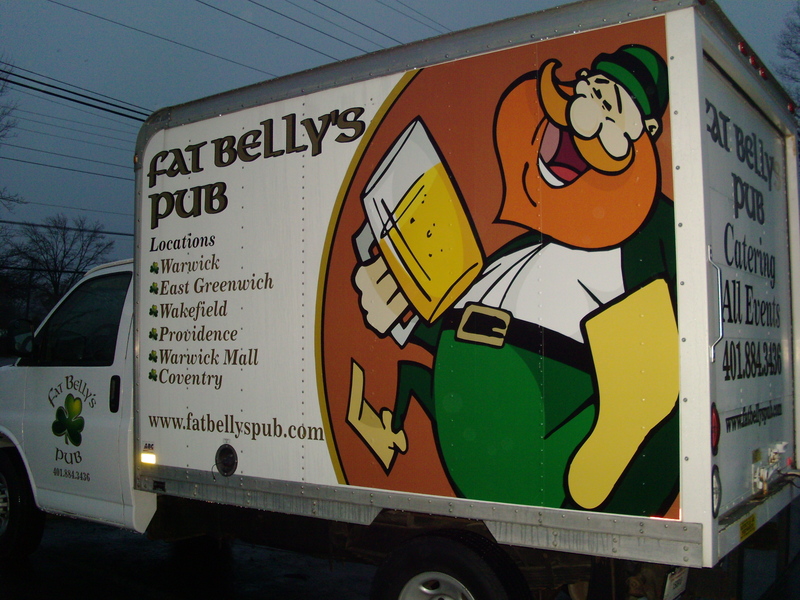 Not many forms of advertising can beat AA/Thrifty Sign & Awning’s vehicle wraps in Rhode Island and Southeastern Massachusetts! The main reason for this is that mobile advertising such as our vehicle wraps targets pedestrians, drivers and passengers. AA/Thrifty Sign & Awning’s vehicle wraps can potentially be noticed by people who are taking a walk, drivers who are stuck in traffic, and people who are just looking out the window of their home or office. Our vehicle wraps are made of highest quality materials and can last up to 10 years if the vehicle is properly maintained. They are also easy to remove and don’t leave any marks on your vehicle. Contact us right away for more information regarding cost and time of production and installation! We will help you dominate mobile advertising in Rhode Island and Southeastern Massachusetts! The following are some examples of vehicle wraps we produced and installed for clients who took advantage of our services.